Aharoni and Steele, a major supplier of premium specialty nuts to several major retailers, wanted to enter the specialty grocery and online channels with their own branded product line. Their handcrafted product was far superior to their competitors’, but in this crowded category, finding a unique positioning was a challenge. A unique brand identity and graphics system was developed to support the positioning while allowing differentiation between SKUs. A multi-SKU packaging design system and copy was then created for eight flavors in two sizes. Next, an ecommerce website was built on a WordPress platform. 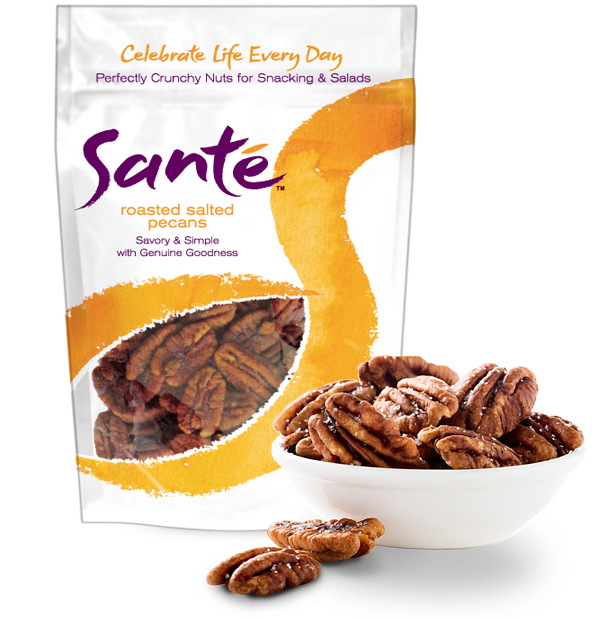 Santé Specialty Nuts have now been successfully launched online and in specialty retail stores including Andronico’s Community Markets and Lunardi’s Markets.